As we move into a new year with a new round of car models hitting the market, let’s look back on the past year and some of 2017’s significant auto recalls. It’s worth noting that the number of recalls in 2017 dropped sharply from 2016—from 52,985,779 down to 28,146,661—although that difference was likely affected by 2016’s sweeping Takata airbag recall. Defective car or truck parts are at best an annoyance, and at worst a tragic car accident waiting to happen. 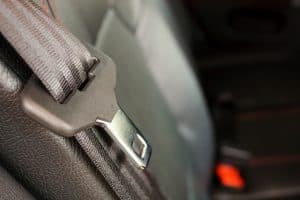 From small software bugs to dangerous seatbelt failures, it’s critical any vehicle defects are addressed and repaired immediately to keep drivers and passengers safe. Fiat Chrysler took the dubious top spot in 2017, recalling nearly four million vehicles for problems including faulty rollover sensors and faulty oil cooler lines. Honda came in with three million recalls, citing faulty battery case covers, and problems with secure seat latching in their minivans. Ford recalled around a million trucks for kinked actuator cables and faulty door latches. Hyundai also recalled about a million vehicles for seat belt issues and potential engine/oil delivery issues. BMW recalled 672,775 cars for potential short circuit issues, and ceased sales of their electric car until they can comply with a Federal Motor Vehicle Safety Standard. So, how do car recalls work, exactly? What’s the manufacturer’s responsibility? What’s yours? When a car manufacturer—or the National Highway Traffic & Safety Association (NHTSA)—determines a vehicle model or models has a safety defect, they will alert owners to the problem and offer repair. They are required by law to send a letter to owners of the vehicles. However, you can also sign up on or check the NHTSA website to stay current on recalls. If you do get a letter, it should include details like the nature of the defect, potential warning signs, the risk posed by the defect, what injuries it could cause, how the manufacturer will fix the problem, and instructions on what you should do next. Usually this means calling your local authorized dealer and setting up an appointment. The letter should tell you how long the repair will take, and if your car is on the NHTSA recall list, you should not have to pay. It’s important to note that if your vehicle is part of a tire recall, you must have the repair work done within 60 days. You should also remember that if your car is recalled, it doesn’t put you in immediate and certain danger of an accident. However, you should never risk it, and ensure you get your repairs done in a timely manner. Manufacturer defect and vehicle recall cases can be complicated, with miles of red tape. Let the team at Plattner Verderame, P.C. handle the “tough stuff” for you. To meet with one of our Phoenix product liability lawyers, please call 602-783-8793, or fill out our contact form.